Please join us for a special luncheon to present the Excellence in Free Enterprise award to Mike Duke, retired president and CEO of Walmart Stores, Inc. Mike is a global leader who understands the power of free enterprise to improve the lives of people across the world. 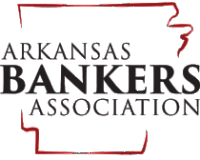 Your support of this event will allow Economic Arkansas to provide economic education to K-12 teachers and students in Northwest Arkansas. 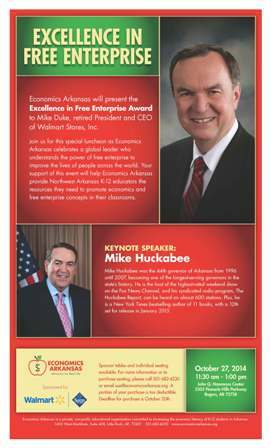 Mike Huckabee, former Arkansas governor, will deliver the keynote address. Pre-event reception for major sponsors. Sponsorships available starting at $1,000. To reserve your seats or to sponsor tables, click here.